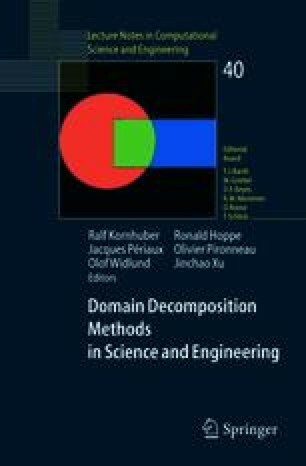 For flow problems in multi-layered porous media, one can define a natural non-overlapping domain decomposition (DD). The simplest way to obtain DDMs is to distribute interface conditions (pressure and flux continuity) for each pair of adjacent subdomains and to use the Dirichlet-Neumann (D-N) algorithm. A different way is the use of two Robin conditions (RC) also distributed for each subdomain (Robin-Method). The main inconvenience of both methods is that the convergence is not ensured. To obtain efficient methods, we retain from previous works two basic ideas: an acceleration of Aitken type for the D-N algorithm and finding optimized coefficients for the Robin-Method. In the present paper, we analyze these improved algorithms in 1-D and 2-D framework for flow problems in heterogeneous porous media and we present a numerical comparison.